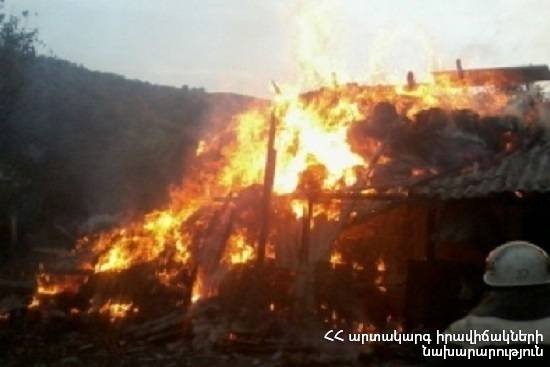 On April 13, at 11:20 an emergency call was received to “911” service that a fire had broken out in a grass area near “ArtFood” can factory of Artashat town, Ararat province. It turned out that the fire had broken out on the roof of the barn and in a water pipe near house 3 in Budaghyan street. The fire was isolated at 11:38 and extinguished at 11:49. The wooden constructions (about 7 running meters) of the roof of the barn and reed (about 500 m2) burnt.